Apostle Angel Clemons is the Founder of SCMI along with her husband, Sr. founder, Apostle George Clemons. Apostle Angel has two previous books out, which would make this one her third. Her mission is to help and restore a lost nation back to Christ! The Rainbow is God's Covenant Promise, that there would be no more flood to happen upon the earth! After every storm you will find one, because of this promise. The Rainbow was God's Covenant and so is His Word likened to the rainbow. 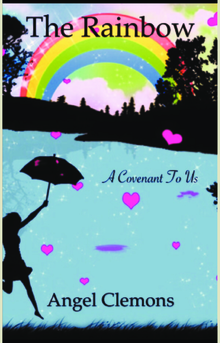 We all need to remain under our covering and covenant of God's Promises, which can be found in His Word.